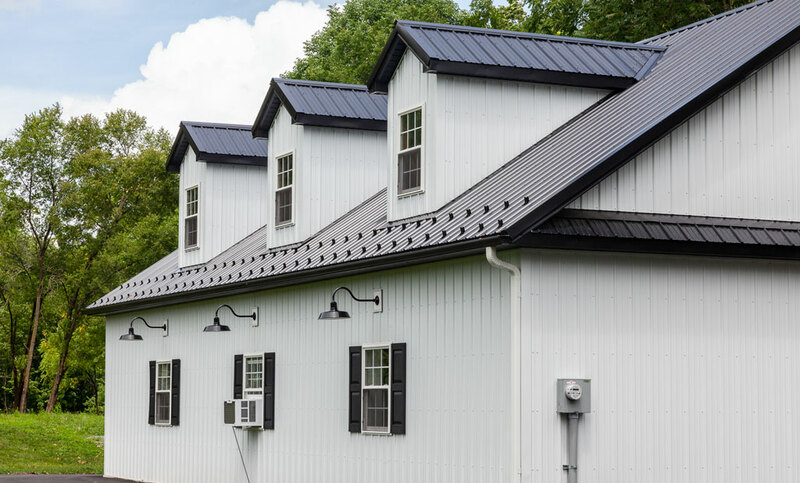 At Conestoga Buildings, our design/build team strives to build structures that are not only practical, but attractive as well. It’s this balance that allows us to build quality structures that are quick to build and cost effective. Take this Pottstown, PA custom storage building, for instance. 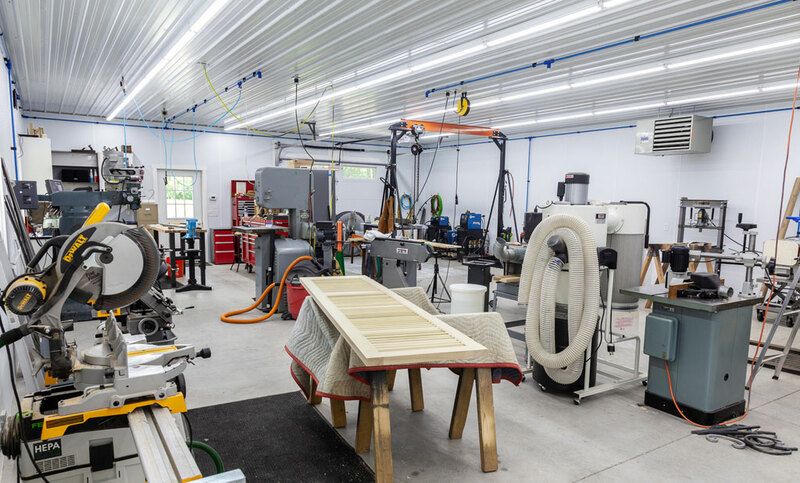 The shop owner came to us in need of an expanded work space with plenty of room for a vast array of woodworking tools and other equipment. The homeowners, however, weren’t willing to sacrifice the aesthetics of the building’s exterior in the process. 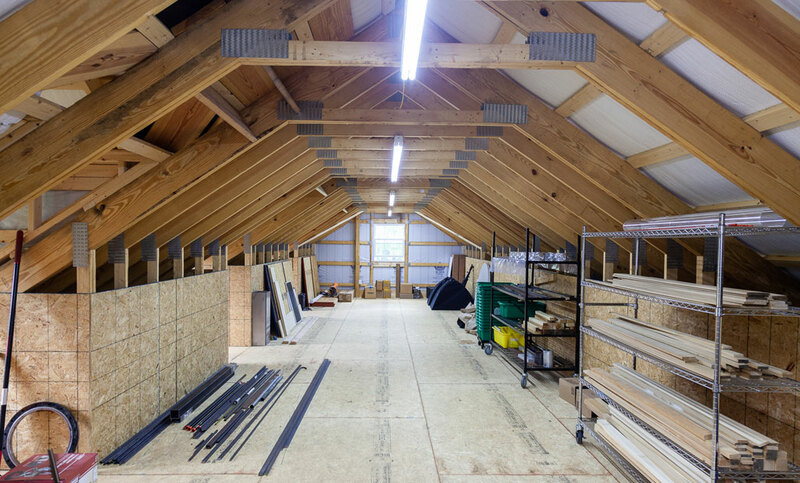 Our design team went to work, laying the groundwork for a beautiful carriage house pole barn structure to add character and value to the property. 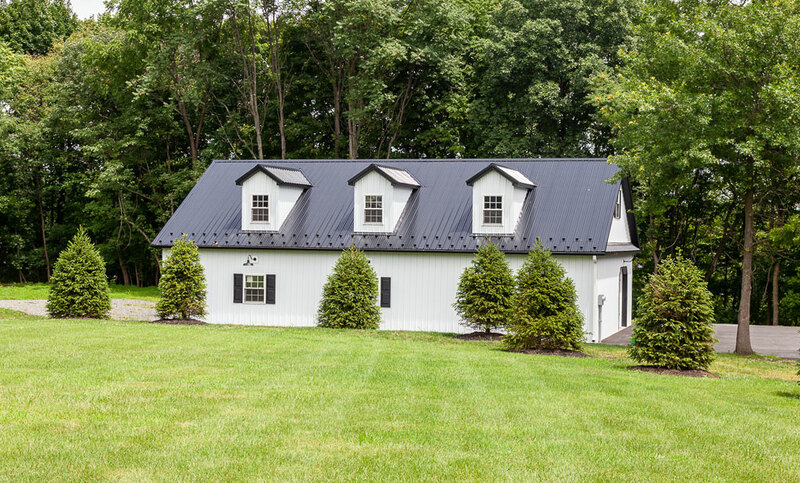 They chose crisp white siding offset with a dark metal roof. And, they incorporated second story protruding windows that added a high-end look to the building. Other details that set this building apart included metal sconces and residential-style shutters with paned windows. 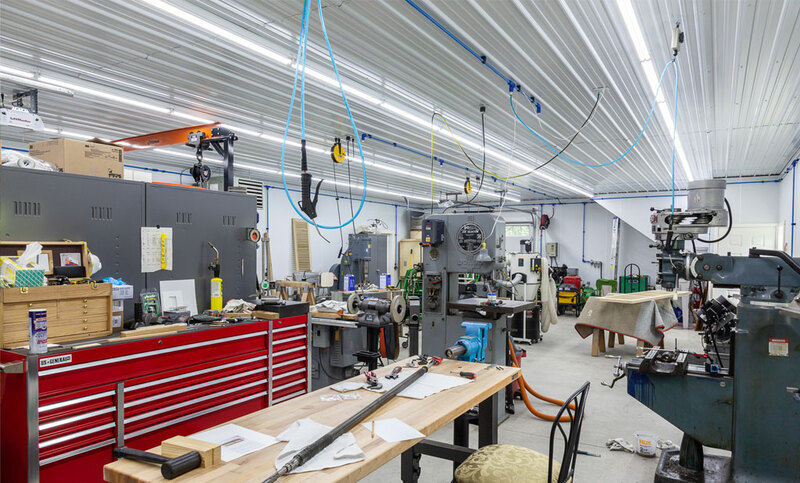 Inside, the design stayed simple and functional, giving the homeowner adequate space for projects and a metal ceiling prepped to work as a tool handling added lights and extension cords as needed. And finally, the team added a loft for additional storage and ventilation. We’re experts at pairing form and function. 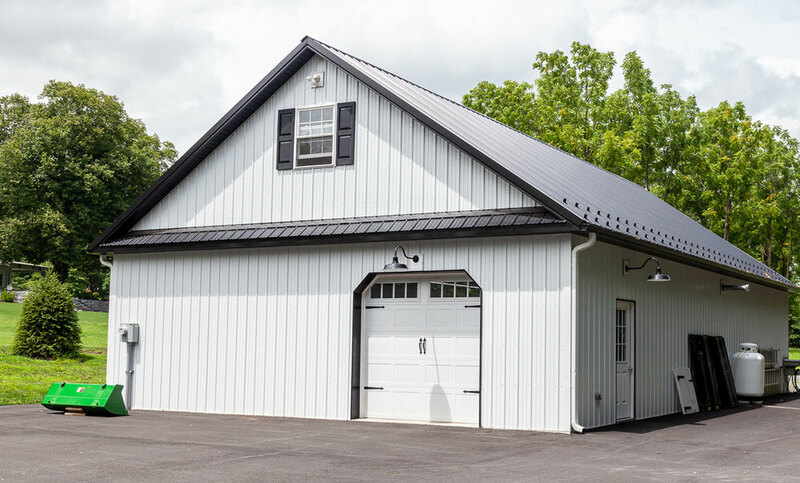 Contact us today to learn more about how a custom shop or other storage building can add functionality and curb appeal to your home.